Visiting Chicago for a week, our very own yoga teacher, Mo, decided to team up with Del from Del’s Cooking Twist for a yoga & breakfast event. 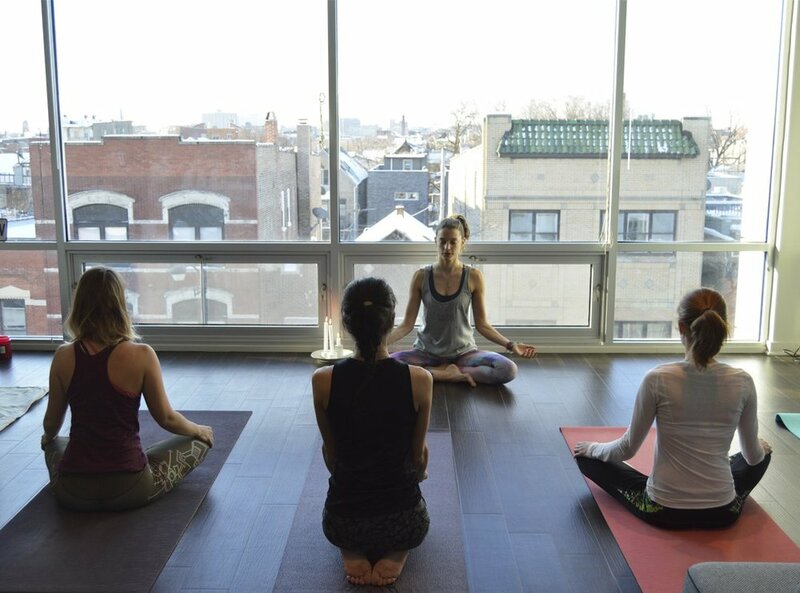 After interviewing Del last week about her life as a food blogger they concluded that by combining their two passions they could offer the perfect morning treat: 45 minutes hatha yoga followed by an all vegan breakfast, all in an intimate and cozy space with an amazing view over Chicago. Del had prepared all vegan treats including: beetroot pesto toast with avocado, tahini toasts with sun-dried tomatoes, berry smoothies, granola cups and peanut butter cups with cashew and lime spread, raw energy balls, freshly squeezed orange juice and green detox tea from David’s Tea. It was absolutely delicious! You can find all the recipes and more inspiration on her blog and download her free e-book. It was a real pleasure to work with Del and welcome everyone, including fellow yoga teacher Stephanie. A great way to spend a sunny and bright morning in snowy Chicago.